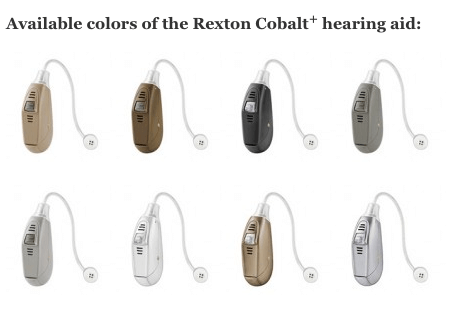 Updated November 3, 2016 – The Rexton hearing aid Cobalt+ is an advanced Receiver-In-The-Canal (RIC) hearing device designed to provide users with an instant, comfortable fit. With high-tech features, this Rexton hearing aids delivers exceptional speech understanding and more advanced hearing of a wide variety of other sounds. 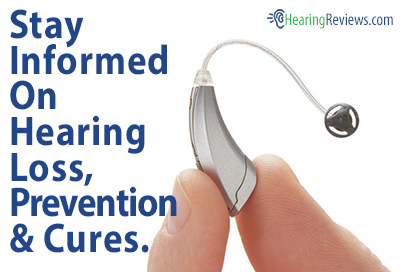 The device also allows for easier hearing of the user’s electronic devices. With multiple available colors, the Cobalt+ hearing aid is available in a color to match a variety of hair and skin tones. The Cobalt+ hearing aid comes with a variety of features that help deliver fantastic hearing to users. Focus 360°: This feature helps users pick up on dominant speech sounds, even if it is not directly in front of them. Speech is made easier to hear, even from the side or rear of the user. This feature is especially useful in situations where the hearing aid wearer cannot directly face the speaker, such as in a car. Automatic Multi-Channel Adaptive Directional Microphone: This advanced microphone technology delivers advanced speech hearing in noisy situations, especially situations in which multiple people are talking at the same time. Automatic Noise Reduction: This noise-cancelling technology helps the hearing aid wearer focus on what is important, and ignore what is not. It automatically isolates distracting background noise and softens it, while at the same time, it isolates important speech signals, and enhances them. This makes conversations in noisy environments a much easier task. Sound Locator: This feature of the Cobalt+ hearing aid mimics the natural function of the user’s pinna (outer ear). The pinna helps users locate sounds in his or her hearing environment, and the Sound Locator feature does exactly that. It makes pinpointing sounds much easier. Feedback Preventer: This feedback elimination feature automatically eliminates feedback before it occurs. Annoying whistling that can sometimes occur while hearing aid users talk on the phone is not an issue with the Cobalt+ hearing aid. Sound Radiance: This feature enhances the sound of high-frequency noises, helping to provide users with a richer, fuller sound spectrum. With enhanced high-frequency hearing, users may enjoy music, or sounds in nature, more fully. SoundSmoothing: This feature softens the occasional impulsive sounds people experience every day. Sounds like glass breaking, paper rustling, or other loud sounds are dampened, and made more comfortable for the user. Automatic Environment Management: This feature automatically, and continuously analyzes the Cobalt+ wearer’s sound environment, and adjusts its settings appropriately, to provide the best sound quality possible. Blu Link: This feature allows the Cobalt+ to be compatible with Rexton’s audio streaming accessories, like the Blu RCU (see below). With Blu-Link, the hearing aids can receive high-quality audio directly from the user’s electronic devices. Green & Easy: The optional Rexton charging system allows the user’s Cobalt+ hearing aids to be worn without having to worry about when the battery will run out. Wireless Assistant: This feature optimizes the hearing aid’s sound quality, while also helping to make it easier to use. Users with binaural hearing instruments can make volume and program changes to their hearing aid with one touch. Advanced Nano Coating: This coating helps to protect the user’s hearing aid from damaging wax, moisture, and other debris that can cause inhibited performance. This advanced, small, Bluetooth compatible device allows users to control the functions of his or her hearing aid, including volume and program controls. Additionally, this device allows users to stream their electronics’ audio directly to the Cobalt+ hearing aids, in stereo sound (heard in both ears). Users can listen to their television, mobile phone, MP3 player, and other devices with ease. This easy to use, inconspicuous device allows users to make discreet changes to his or her hearing aid, without anyone else knowing. This device eliminates the need to worry about whether or not the user’s hearing aid batteries will make it through the day. A 6 to 8 hour nightly charge of the Cobalt+ hearing aids allows them to provide exceptional hearing to the user the entire following day, without worry. Additionally, a drying feature of the charger removes damaging moisture from the hearing aid, helping to extend its useful life. 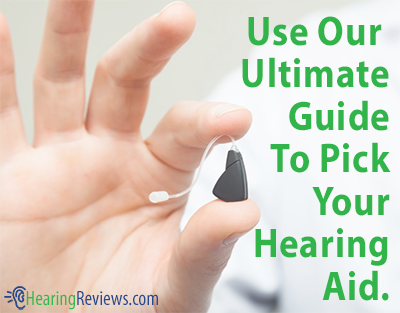 This isn’t the only model we have, see the other Rexton Hearing Aid Reviews. In need a Cobalt remote for my Rexton hearing aid.